Check out our Spring Briefings Newsletter! 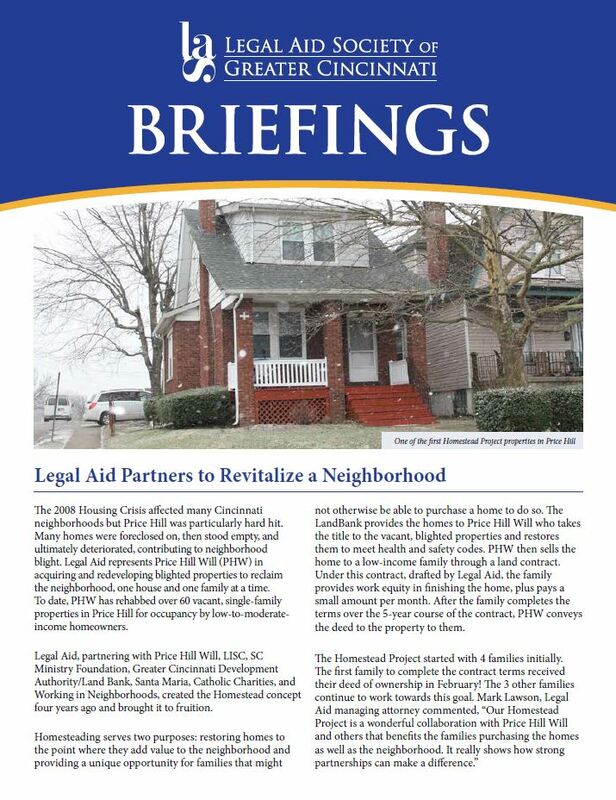 In this issue, we highlight one of our housing partnerships that provides an innovative opportunity for homeownership. We also share the latest on our effective medical-legal partnerships, and recognize Legal Aid Senior Attorney, Manager – Immigration Group, Adolfo Olivas’s election as President of the Butler County Bar Association!